STACK Launches Production Pilot Bringing Smart Money Management Features to Market. Production Pilot will include STACK Triple Black Prepaid Mastercard®, automatic savings and free peer-to-peer transfers. TORONTO, April 30, 2018 /CNW/ - STACK begins a Production Pilot program today, leveraging a waitlist of almost 50,000 Canadians to test the latest features added to the fee-free mobile app for personal money management. STACK is reimagining financial services with smart and simple features to help better manage your money, straight from your smartphone. Financial iQ tools help you understand how to reach your goals faster than ever before. "We're trying to shift the relationship people have with their money," said Miro Pavletic, Co-Founder and CEO of STACK. "Money is the number one source of stress for millennials, in part because there's a lack of resources to help them manage it. Money should help you reach your goals - not be the reason you can't achieve them." 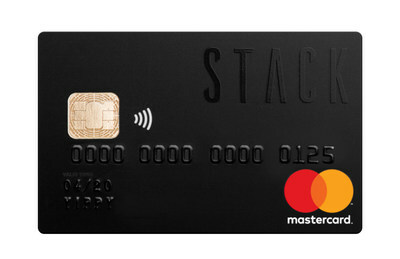 STACK Triple Black Prepaid Mastercard with contactless EMV chip and PIN, providing the highest level of card security. Quick and easy self-set-up. Members can create their own accounts in minutes, including industry leading identity verification through the integration of Trulioo. Smart savings features like STACK Up – automatic round ups on each transaction to support your goals. The STACK World Stream – a custom social platform to share photos or videos. STACK-to-STACK transfers. Free money transfers between STACK members. Offers and Rewards. STACK members receive unique offers and rewards from a curated roster of merchants and access to exclusive experiences across the country through music, entertainment and lifestyle partnerships. The STACK app is compatible with both iOS and Android. To join the STACK waitlist, visit www.getstack.ca. STACK is reinventing financial services and putting Canadians back in control of their money. 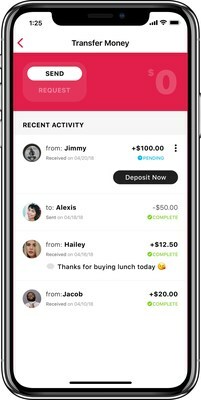 Using intuitive technology and customizable tools, STACK delivers a smarter way to spend, save and share your money fee-free and straight from your mobile. Features like automated savings, real-time notifications and relevant rewards empower people to make the most of their money so it's there for what really matters. For more information, visit: www.getstack.ca.